Like people, cats need physical and mental stimulation so one way to achieve both goals is to take time everyday to play with your cat. 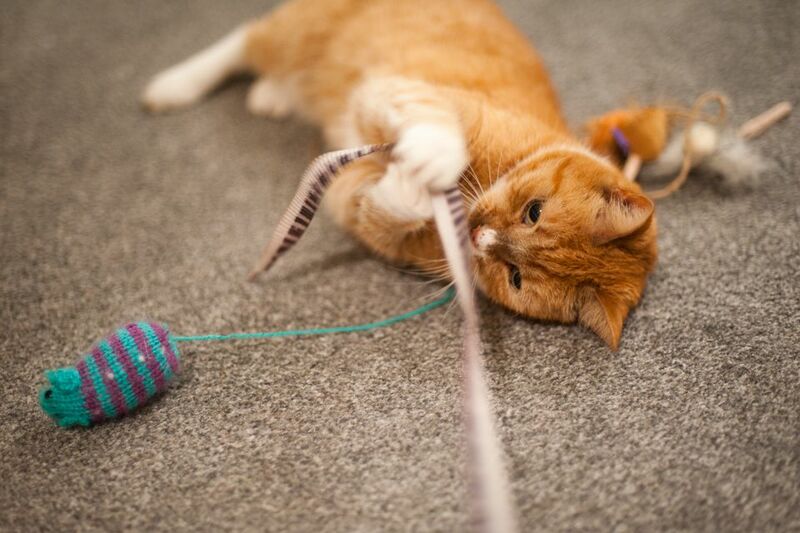 Of course, your cat may not want to play with you, but find a time that works and let your cat have fun. One key to playing with your cat is to offer it different toys. Then make sure you reward the cat for playing so it will want to do it again. The more you play with your cat, the less time you’ll have to live your own life and that’s what owning a cat is all about. To learn how to play with a cat, click here. Should Your Cat Be Vegan?